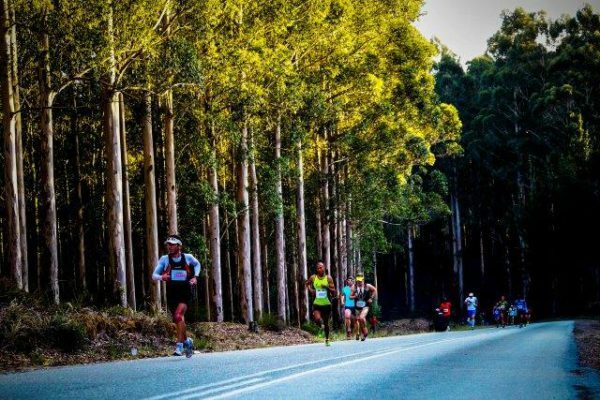 The Momentum Knysna Forest Half Marathon rounds off the Maserati BIG5 Challenge. 10 Days, 5 Events and 1 Race came to a nail-biting end today as competitors in the Maserati BIG5 Challenge raced each other and the clock in the final event of the Challenge, the Momentum Knysna Forest Half Marathon. After completing a mountain biking, open-water swimming, trail running and an MTB X course over the past 10 days competitors were relieved to only have a 21km run between them and the title of Maserati BIG5 Challenge Finisher. In the Men’s race the main dual was between Bradley Weiss and Keegan Cooke for the overall title with Bradley taking it in an accumulative time of 7:21.05. The Women’s Category saw the leader board change multiple times during the 10 days of the competition with Vicky van der Merwe pipping Kate Dodds at the post to claim the overall title with a cumulative time of 8:37.52. Make this your 2018 bucket-list, must-do mulitsport event and start training now for the 2018 Maserati BIG5 Challenge.